Pic above was from SMAA2015 and this was literally the first time I got to show off my freshly waxed legs (first time of waxing my legs ever). Are you surprised? I usually use a cream or a stick. Just never had the patience for a wax especially when my one and only wax - my eyebrows; turned out to be a disaster. Nope, The Nail Studio wasn't having any of it, "Barbara, you need to get your legs waxed". That was final. I got it done the Friday before my birthday. I got a back and shoulder massage thrown into the mix and that, I have been looking forward to FOREVER. Strange how I was more excited about the massage than the leg wax. The first fear was that I would scream from the pain, lol. It got me thinking that perhaps it was that painful and I would indeed scream. Up went I to the private room like a lamb to the slaughter and .... it didn't turn out to be quite what I had initially expected. The ambience of the room was really soft and beautiful with music playing in the background and all. A cart with all sorts of bottles and containers was in the corner of the room and of course I had to take a picture of my legs before the baptism of wax, lol. 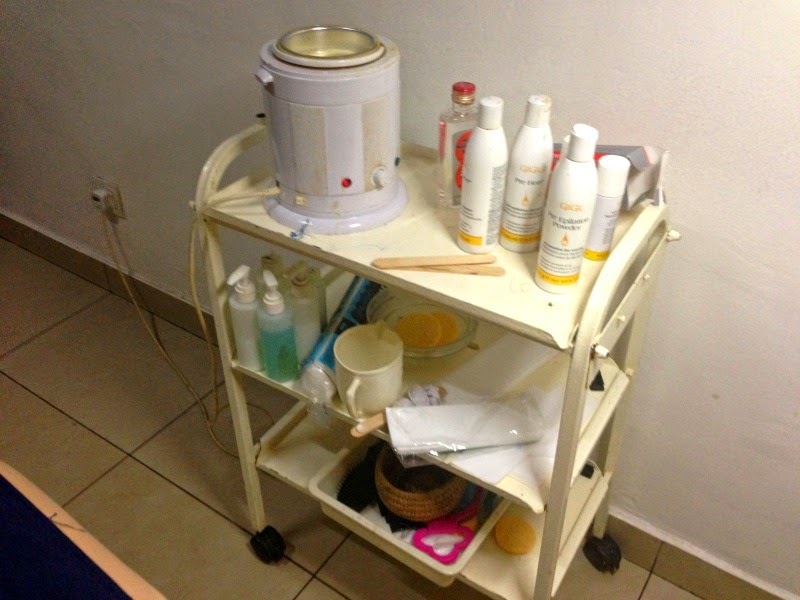 Sterilise - clean legs thoroughly with either soap and water or astringent or light alcohol. 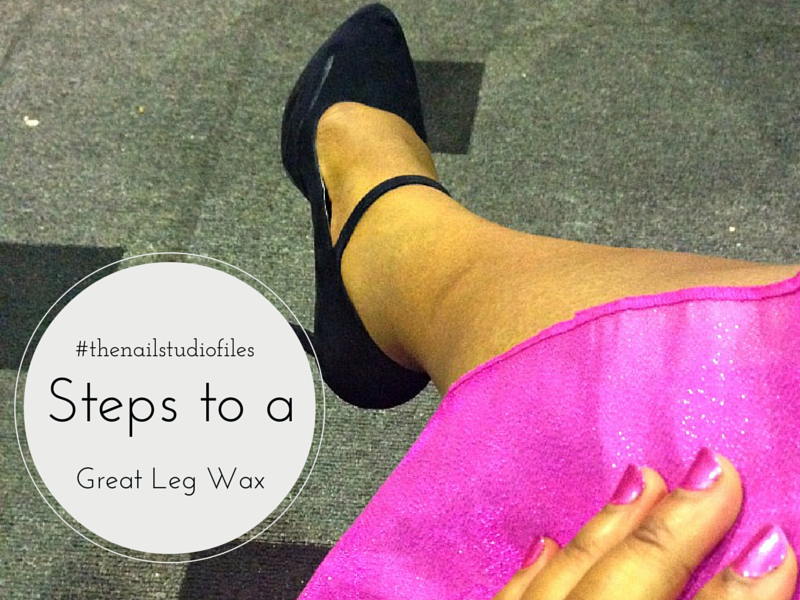 This step takes care of all bacteria that might attack the skin when it's in a vulnerable state which is right after the waxing. Apply Talcum Powder - this is to ensure that any moisture still on the skin is absorbed. Thoroughly dry skin ensures that wax and strip adhere very well to the skin. Wax - the temperature of the wax has to be just right, not too hot and definitely not cold. During the session I had to mention that the wax had become hot and was really burning my skin. It's wax, if it's too hot it will burn the skin. Apply wax in the direction of hair growth. Ok, so I really haven't bothered to ask why but it just seems the logical thing to do and that's why I haven't asked I guess. Pulling the hairs - not actually pulling but using the strips to take off the hair. Strips should be firmly pressed onto the skin where the wax has been applied. It should be laid in the direction of the hair growth. Skin should then be pulled taut and strip firmly taken off in the opposite direction of hair growth. This helps to delay hair growth, i think, lol. Once again I didn't ask because it sounded like the logical thing to do *silly me*. 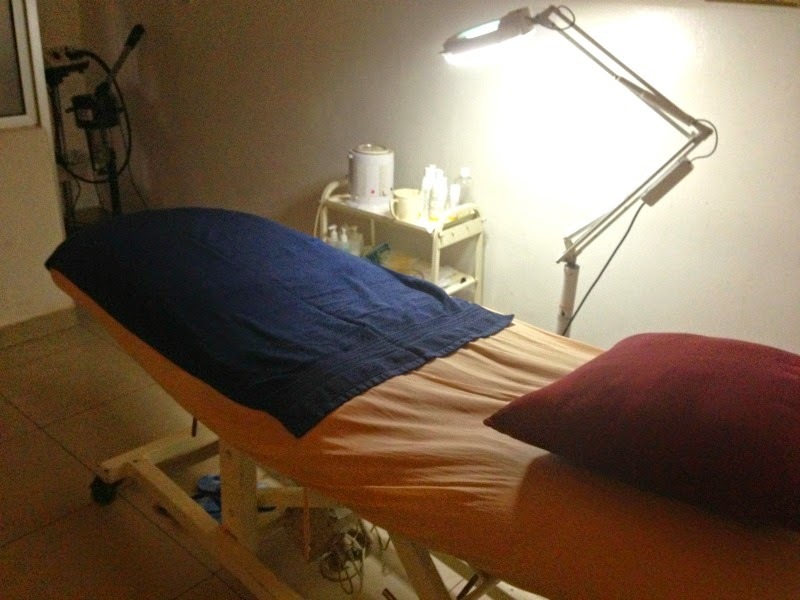 Post wax treatment - sensitive skin will have turned red and even developed sores after the wax treatment so it's wise to apply pressure on skin after pulling the hairs out and then applying baby oil to soothe the skin. My skin is pretty tough so I had no sores or redness after the treatment. Don't be deceived though, at some points during the process it actually hurt but my pride didn't let me cry out loud. Irene would have heard for Pete's sake *wink*. We had to hold it down. The 30 minutes back and shoulder massage was the perfect end to this session and I'm soooo looking forward to my next session at The Nail Studio. *p.s. i took all the pictures and videos in this post with my iphone. what do you guys think?